We put 5k medallions on the line, will we be victorious or not? Watch to find out! 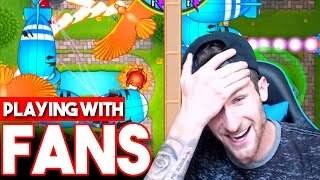 Molt challenges his fans for some BTD battles! 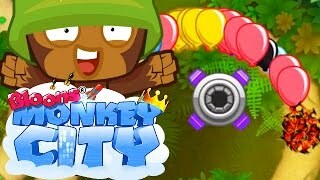 BTD Battles - Betting 5.000 medallions! MasterOv bets 5000 medallions and freaks out a bit... well, a lot! Can you handle that kind of bet? 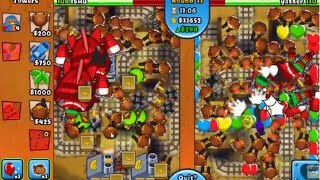 BTD Battles - Epic Arena battle! 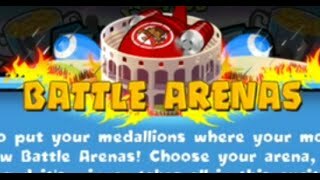 BTD Battles - Arena Special! - Where Are All The Lives?! 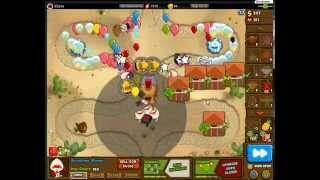 BTD Battles - NEW ARENA MODE GAMEPLAY! 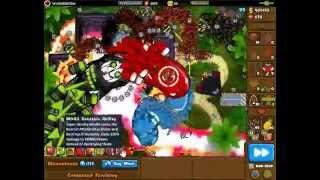 How to do a fast an easy rainbow regrow rush! 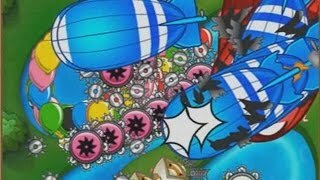 Bloons TD Battles Gameplay. 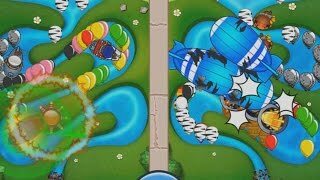 This was an epic game of BTD battles Arena. We beat a max Cobra. 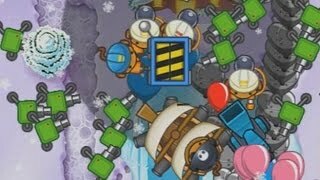 Bloons Tower Defence! 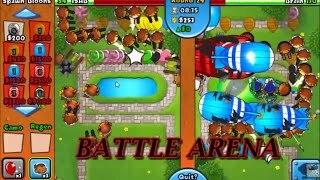 BTD Battles Arenas intense games! 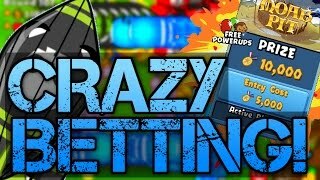 How to bet and win (or loose :P) 2000 medallions! Get high on those leaderboards by playing arena matches and earn lots of medallions! Check this awesome CT play by ISAB and learn some trick to improve your CT skills! Learn from the best and start betting your medallions to get more and more and compete on the weekly leaderboards for even more medallions! 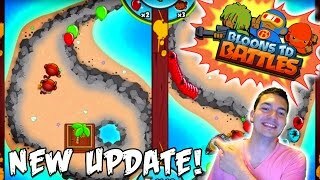 Intense BTD Battles Arena Gameplay! 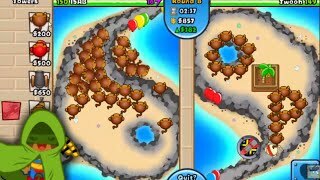 Super intense BTD Battles Arena plays by ISAB. His voice might be weird but his skills and opponents are fantastic! 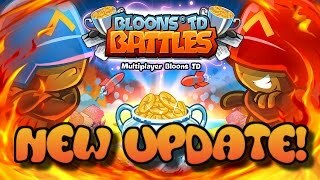 Bloons Td Battles gets a new update on Android! 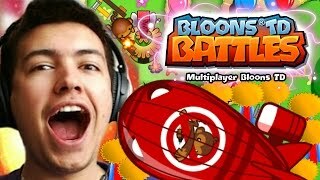 Blows TD Arena Battles and Weekly Tournaments! LETS GO BATTLE! 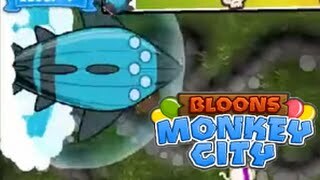 There's a new game mode called Battle Arena to play in Bloons TD Battles Mobile. This is a very fun update, so expect nothing less. 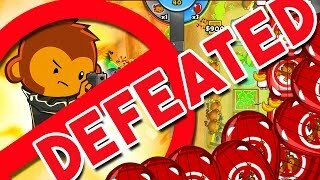 Super awesome BTD Battles strategy! According to ISAB, you can win every every game with this strategy. Check it out! 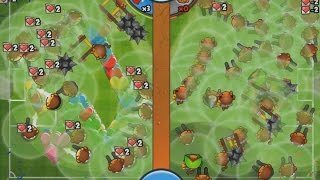 MasterOv shares a video showing good beginner strategies based on the spike factory which can get you pretty far on the first stages of the game. 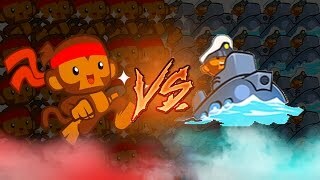 This week on Superjombombo's challenges is a fighting game reference based on the bloon chipper, engineers and buccaneers. "Mirage" is this week's CT tile on city 2 of BMC web. Watch this video and get some inspiration on how to achieve descent round numbers.